Singapore is a city of almost five million people, and it is confined to an island to the south of Malaysia. Being geographically limited in size, however, has not limited its appreciation of nature. East Park runs for miles along the Straits of Malacca, from just outside the core of the city all the way out to Chaingi Airport. Its paved walkways and manicured lawns and beaches are a great place for a swim or a stroll. 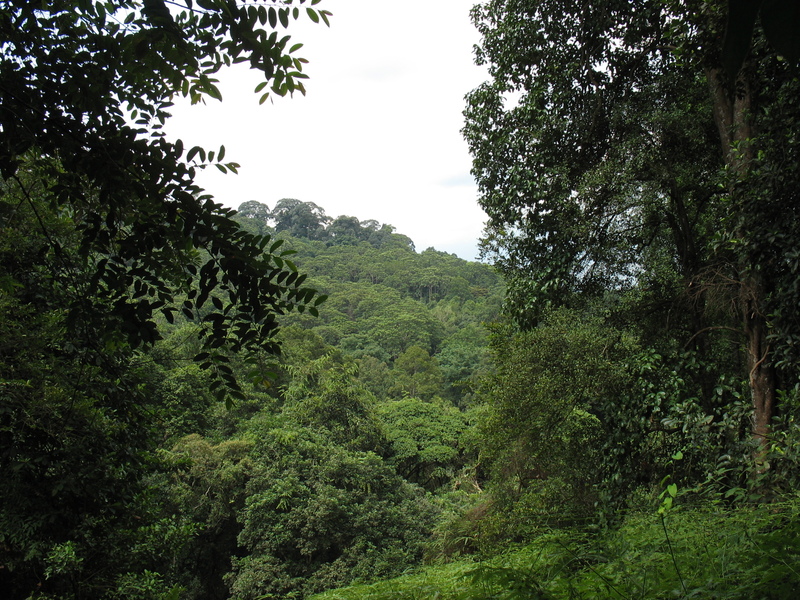 But even more remarkable is a stretch of untouched rain forest, the Bukit Timah Natural Reserve in the heart of the city. 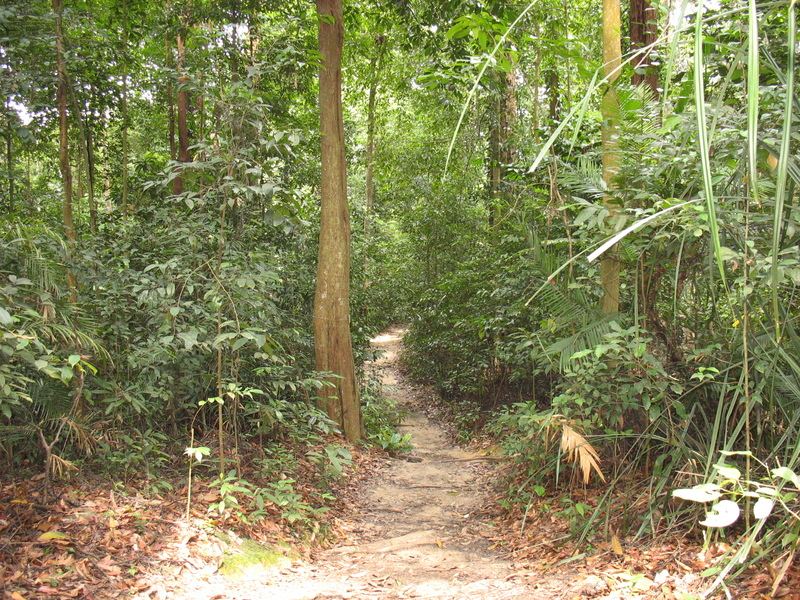 It is a stiff climb to the top of the hill, but the main path is paved, and even the forest trails are well maintained so that one can take a leisurely hike down through the forest. On the way to the top I caught sight of a troop of monkeys grooming one another. They were not spooked by my being there, nor were they eager for a handout. 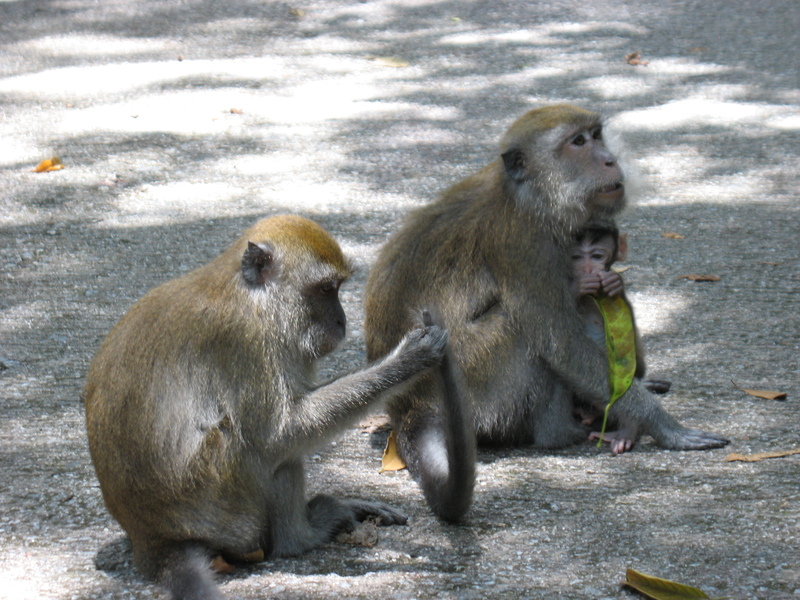 These monkeys behaved normally, neither in fear nor in dependence of man. I saw lizards as well, some as long as your dining room table and plenty of butterflies, but not many birds. Many of the trees had small informational signs posted in the ground for those of us who like to know that kind of thing, so I was able to identify banyans and tamerinds and many kinds of palms and lianas that I hadn’t known about. Lianas (the vines that climb tree trunks) make up about 40% of the canopy in a rain forest. That’s a huge amount of oxygen production that is also lost when the tress are cut down, as lianas depend entirely upon those tress for their support.